Michelle is a denturist with 20 years of experience since her graduation from I.W. Akerley College in Dartmouth, Nova Scotia, where she received her diploma in Denture Technology. In Nova Scotia, Michelle was the owner and operator of the Blomidon Denture Clinic in the Annapolis Valley until she moved to Ontario in 2003. 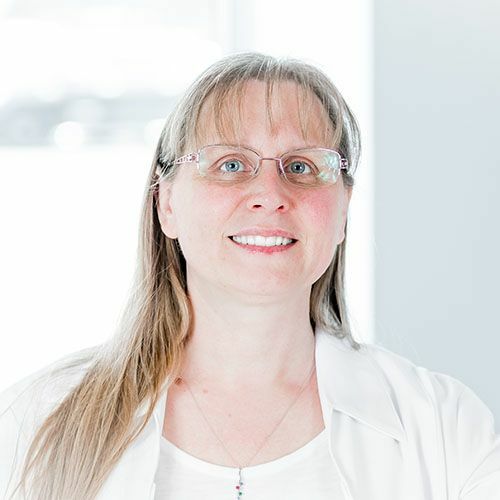 In 2010 Michelle established Kanata Dentures in the west end of Ottawa, an active practice especially sensitive to the needs of clients requiring in-home denture care. Married with two children, one with special needs, Michelle brings her Nova Scotia charm and professional excellence to the vocation she loves. She is a member of the Denturist Association of Ontario and the Ontario College of Denturists. Outside of work Michelle can be found active at events connected with the Down Syndrome Association of the National Capital Region.